The Ranish Partition Manager is a powerful hard disk partitioning tool. It can create, copy, and resize primary and extended partitions and gives high level of control for running multiple operating systems. 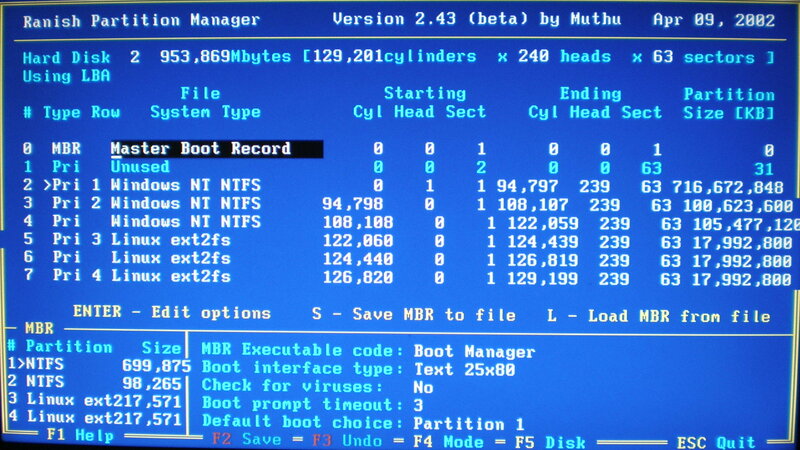 The size of this DOS-program is less than 200 kB and installs to the boot sector of the hard disk. 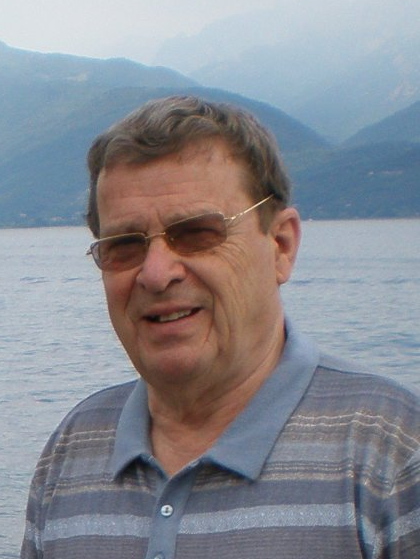 To install it you first download the program from the link above. I use a floppy to install but you can use a bootable DOS USB-dongle or a bootable DOS CD. After the install you can configure it to use the compact or the advanced boot manager. I use the advanced version. 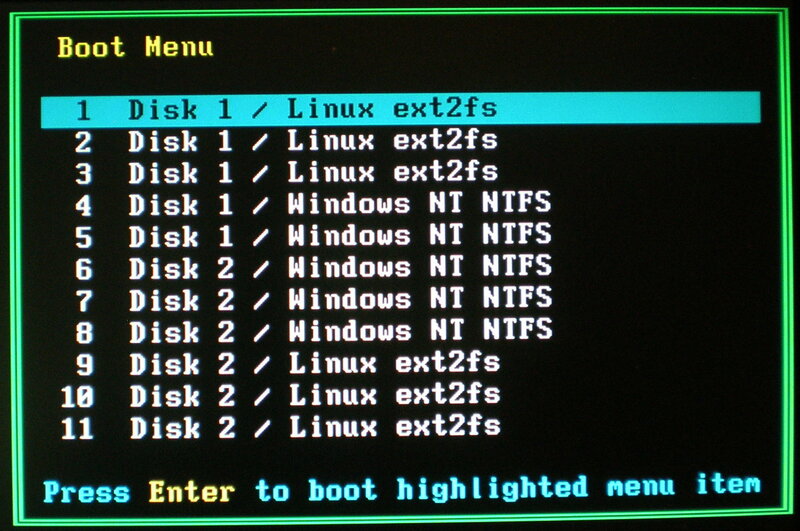 At boot time the advanced boot manager lists all partitions - also the hidden ones - and highlights the default partition. You have about 5 seconds to pause (press "space") or enter the partition table (press "0"). Or just let it load the default partition. 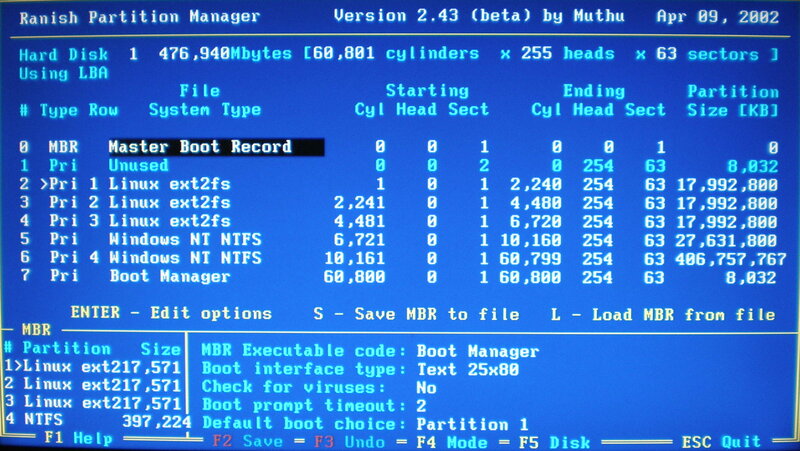 Loading the default partition (the first on Disk1) will start its boot loader, in this case of type Grub1, and display its boot menu (above). Within 6 seconds you can select to boot another partition (than the default Windows 7). The numbered partitions (1-4) are active. The hidden partitions have no number, but you can make one active by moving a number to it (at the same time hiding another partition). 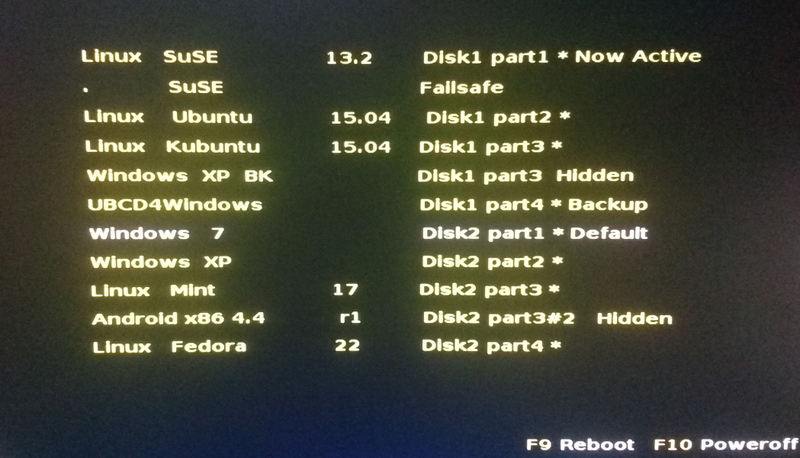 The Disk 1 #7 entry "Boot Manager" (also inivisible #8 on Disk2) is the advanced manager storing information about the hidden partitions needed to create the partition list menu (top left above) - not availabe in the compact manager, which only uses the boot sector.